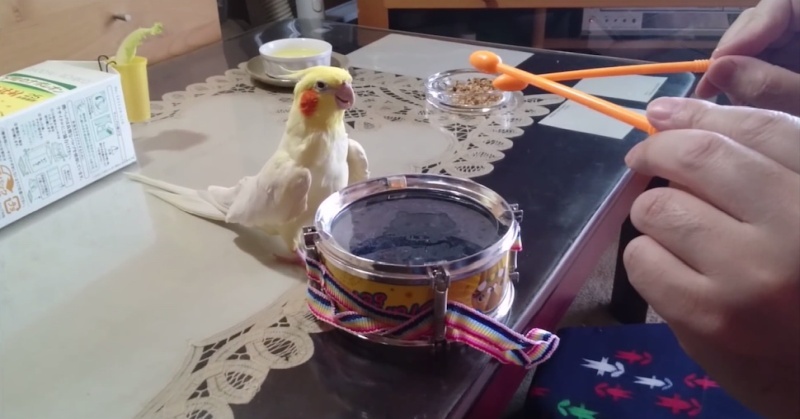 This freakin’ parrot can freakin’ play the drums! Yes, for real. I mean, see (hear) for yourself.